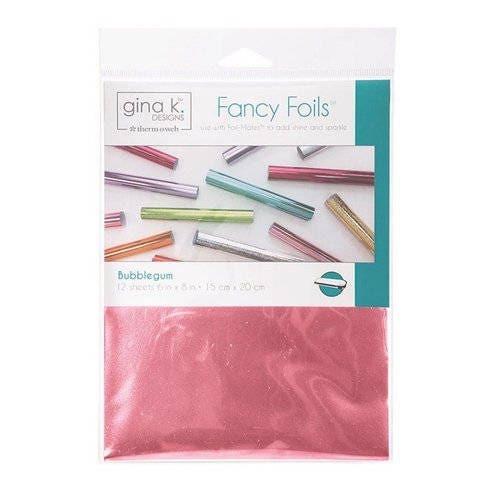 Make your projects pop with Bubblegum Fancy Foils by Therm O Web. The package includes 12 sheets of foil that measure 6" x 8". The foil by Gina K. Designs is for use with Foil-Mates products sold separately.